It’s HSN’s Birthday, so it’s time for our annual celebration with our Healthy Hair Skin & Nails Today’s Special and this year is our best value ever. In case you were wondering why we celebrate HSN’s birthday with our Healthy Hair Skin & Nails, it’s as simple as their shared initials. I have always referred to Healthy Hair Skin & Nails as HHSN, so naturally HHSN seemed like the perfect product to celebrate HSN’s Birthday. Healthy Hair Skin & Nails is also our top reviewed product with more than 3,500 5-Star Reviews! It works so well that it encourages those who enjoy its benefits to enthusiastically share their experiences. I introduced this formula almost 20 years ago and since that time, I have constantly improved it, including the addition of more than 8-times more of our uniquely active Biotin than the original. Despite all the improvements, our Healthy Hair Skin & Nails will be available this weekend at its best value ever – less expensive than 2 decades ago! How many products improve over the years, yet cost less today than decades ago? This year we have a Special 720-capsule size that will last until next year’s big event. I also created a special formula with 4,000 mcg of Biotin and the added benefits of Pomegranate and Green Tea EGCG. It is our Today’s Special throughout the day on Sunday, July 10th and as usual, there will be Special Birthday Pricing and Free Shipping on all our products throughout the Weekend Event. Many use Healthy Hair Skin & Nails for smoother, more youthful looking skin and a special version of our Marine Collagen Peptides is its perfect partner in that pursuit. Marine Collagen Peptides has never been a Today’s Special and based upon popular request, a Special formula will be our Today’s Special the next weekend, on Saturday July 16th. Our Marine Collagen Peptides is a relatively new product having just been introduced in late-2014. I have long been aware of Collagen Peptides, but I could not offer it, unless I was completely confident in the science validating its ability to make a visible difference in the smoothness of skin, as well as the comfort, flexibility and mobility of our joints. Again, it was not until recently that such unique Collagen Peptides existed and following extensive testing, we “quietly” introduced our Marine Collagen Peptides about 2 years ago. Since that time, it has become one of our most popular reorder products. Like all our products, we carefully listen to your feedback and we have learned that its benefits are remarkable (you can read the hundreds of 5-Star Reviews at HSN.com), but we also learned that some folks did not enjoy its flavor and solubility. As a result, we have made major changes and I am pleased to state that the reviews over the last 6+ months have been so positive that a product that once barely achieved a 3-Star Rating, has now quickly become a Customer Pick. It now has over 300+ Perfect 5-Star Reviews and over 80% positive reviews. I look forward to discussing the changes we have made and how to best enjoy the benefits of this remarkable product. Muriel loves Marine Collagen Peptides for the benefits to her skin, but personally, I love it for how it makes my joints feel (as does Lincoln). Marine Collagen Peptides uniquely affects both our skin and our joints, so I added another ingredient that also promotes healthy joints and smooth skin – MSM (Methyl Sulfonyl Methane). MSM has been one of our most popular joint and beauty ingredients for decades and is a principal ingredient in our Health Hair Skin & Nails. Personally, I have blended these ingredients together for years taking advantage of their natural solubility, which was also suggested, by a creative gentleman in our Quality Department – Hadi Wadood. The result is this special version of our Marine Collagen Peptides with MSM. Each 5 gram scoop of Marine Collagen Peptides will now deliver a full 500 mgs of MSM, so if you consume two scoops daily, as Muriel and I do, you will now get a bonus of 1,000 mgs of MSM. If you read the reviews of Marine Collagen Peptides, you will discover that like Muriel, so many folks tried the product for their skin, but soon were astonished by the benefits to their joints. We have created a special Economy size for this Today’s Special’s where you will save more than 50% from HSN pricing and despite its large size, it will come with Free Shipping. Marine Collagen Peptides is a see and feel the difference formula. It is 100% pure, beneficial ingredients with no added flavors, sweeteners or additives. If the natural flavor is not for you, like any protein powder, it can be added to a smoothie, juice, yogurt, etc. If you are mixing with water, it dissolves much better at room temperature and you can always just add a few drops of lemon juice or other non-caloric, natural flavors. I prefer to make a pure product and leave it to you to choose how you enjoy it best. Collagen is typically insoluble and indigestible, yet ours is more soluble than normal protein powder. Muriel and I just mix it with water (as I will do on TV) and have it first thing in the morning. That might not be for everyone and if not, just add it to a smoothie as you would any protein powder; however, unlike any other protein powder – our Marine Collagen Peptides offer clinically established visible benefits to our skin and joints. Join us Friday night at midnight and throughout the day on Saturday to see this brand new product. Before I finish up here, I was going to mention another product for which I have received countless requests over the last few years and it has only recently become available. This product delivers ingredients called Ceramides, which are the most important molecules that function internally as our skin’s natural moisturizer. The product is called “Phyto-Ceramides,” since it is made from natural, plant-based Ceramides. Like Biotin, they have been included in topical products for many years, but these large molecules cannot penetrate the skin and are far more effectively delivered by an oral supplement. I live in a very dry climate and I have noticed a profound difference since using them – as has Muriel. We have found they work best with aging or challenged skin. I encourage you to learn more about Phytoceramides by viewing the product at HSN.com or watching my shows this weekend, but do not order them until the Birthday Pricing starts in a few days. I have also added 500 mcg per capsule of Biotin to enhance its benefits. By the way, just a quick mention, but there might be a special ChocoNuvo announcement coming up this week regarding a new Milk Chocolate-like version and a new Extreme Dark version. I have mentioned in the past that we are working on this, but I will keep you posted. Happy 4th! We are all so incredibly blessed to live in this great land, but amid all the divisive Presidential campaign rhetoric, I thought it important to remind ourselves that our great nation finds its strength in our diversity – in our differences. Apart from the Native Americans who possessed this land long before us, we are a country of immigrants. In short, the rest of us are ALL immigrants! Everyone! All of us. We are a wonderfully diverse country of immigrants who have come together to create a great nation. Some of our ancestors may have arrived hundreds of years ago, but most, like my family, arrived in the latter part of the 19th or early 20th century. How many generations we have spent here does not make us a better version of an American. It gives us no preference in the eyes of our democracy and of our creator, since we are all created equal. That is the beauty of our great nation. Today, we tend to give ourselves countless labels, which can only tend to divide us further, whether Democrat or Republican, Liberal or Conservative or perhaps our ethnicity or religion or the country of origin of our parents or grandparents or even our great-great-great-great grandparents. Regardless of all those labels, we are all Americans. In some cases, our ancestors were brought here against their will, but in most cases, our ancestors came here seeking an opportunity for a better life or perhaps freedom from persecution. Despite the angry words of our politicians, I believe the American Dream still burns brightly in the hearts and minds of so many of us. One merely must travel around this world to realize how truly blessed we are to call America our home. Our country was founded on the proposition that, despite divisive rhetoric or intolerant labels, we are all created equal and endowed with great freedoms. I recently had a conversation with one of our political leaders and I said that I wished that our leaders in Congress would cease their Partisanship and Bickering and instead pursue Patriotism and Compromise. Our country cannot progress, unless our leaders serve America and Americans through Compromise. As Lincoln said, quoting Jesus, “A house divided against itself cannot stand.” Whatever happened to the days when great leaders could disagree and could still be effective and respectful? When different opinions gave rise to dignified, creative compromise and great solutions instead of name-calling, deadlock and gridlock? In life, we find happiness with others because we learn to compromise allowing them to be happy as well. Why can’t our political leaders understand the same simple behavior that we all learned as children that to be happy, we must allow others to be happy? It is not about winning, so others lose, but about compromise, so in the end, everyone wins. Anyhow, sorry for my rambling political paragraph here, but I truly hope our politicians can find a better way for all our sake. We still remain the greatest nation on earth and I pray we can find the enlightened, selfless leadership we all deserve. Happy Independence Day! (Genetically Modified Organisms)Next Post ChocoNuvo News! 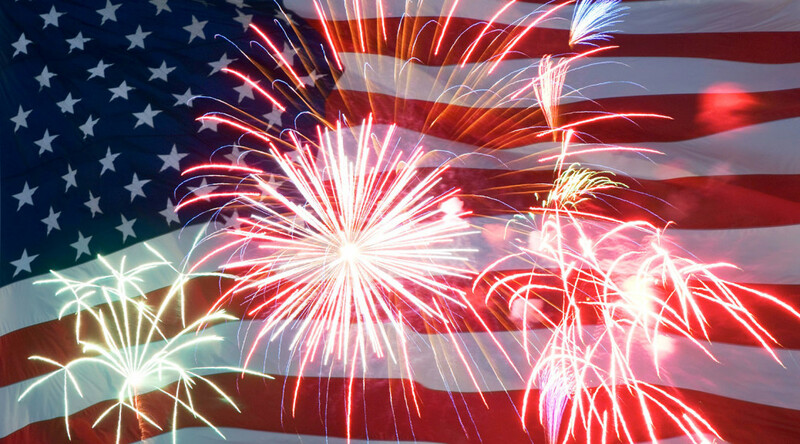 66 thoughts on “Happy 4th of July! Thank you for the update, Andrew! Looking forward to seeing you on HSN! I have a long list to order! Hi Andrew I swear by your products the Haur Skin,and Nails, The circulation and Vein my Dr. Wanted to prescribe a med abd I said no I want to take these one vitamin I told him if it doesn’t work than I will try your med he said ok bring it to me so I can see it first, I said ok I am a Nurse I had a horrible varicose vein. But not with these Vitamin pain is gone he was impressed he said ok if it’s working. Hi Andrew. Happy Independence Day! I know this is WAY in advance, but please considering offering some of the Whey Secure around the new year when you have your Secure TS. I have nothing against soy protein, but whey is preferred for people like me who lift weights to bulk up. I know you already offer the whey Secure, but it’s way more expensive than the TS price on the soy Secure. I hope you will consider making whey available at special pricing as well. I have been Andrew Lessman’s customer for years and still am but I don’t like soy protein neither….controversial stuff. I love his products including the Secure. However, I stopped taking the secure which my family and I have been taking for many many years because of the sucralose and acesulfame K (which has been linked to cancer) in the Secure. Every time I take it it gives me bad cramps and dizziness; once I stop these things go away. I wish Andrew will produce secure without sweetner at all so that we can sweeten ourselves. Buyer beware with US foods. Can’t wait for the Great Deals ! Well said Andrew & Happy 4th to you! For some reason I am running out of everything. This has never happened before. Only purchase when you are on HSN or I have a coupon. Will be re-ordering so much I will have to break open the savings book. Ha! My husband has chronic bronchitis. He never smoked. Purchased your NAC-500. Happy Days! That horrible mucus (sorry) in his throat is gone. Circulation & Vein support has gotten rid of what I call, “jimmy legs”. Medical profession calls restless leg syndrome. So happy days to us both. Thank you so much. Hope our experiences will help other customers. It’s about being responsible because you care about preserving your country no matter who’s looking. People sh#l2dn&o8u17;t need to be told to keep their country clean if they have a sense of pride and respect of where they come from and are interested in preserving their land for future generations to enjoy. Hi Andrew, I always look forward to seeing you on HSN. I absolutely love you and your product. During your last visit to HSN I purchased the ChocoNuvo, and I love it! I did purchase two of the largest tubs, and look forward to getting two more. I also need other supplements, such as the multi vitamin, and omega fish. I have been purchasing from you for 10+ years, and I’m so glad I found you. I have done my research on other vitamins and you are still the best, thank you. I take too many of your products to mention!! I have tried the Marine Collage Peptides… Love the product… But could not use it due to it be a powder mix…. I SO wish it could be put in a capsule!!! Then I would love to take it!! Try mixing the powder into a hot beverage, such as coffee or tea. It will dissolve more easily and you won’t taste a thing. I put mine in my morning hot coffee, and it is fine. I realized that I wasn’t drinking my SECURE Meals as often as I wanted/needed and discovered that putting a scoop of the chocolate in my morning or afternoon cup of coffee is a delicious treat! Imagine getting all that nutrition and protein in your cup of coffee? I agree with Nancy. That’s how I take my Marine Peptides. I’ve been taking this product for over a year now and I love the results so much that I ordered the large container. Try it, you won’t be disappointed. Andrew , Of course I use and love Healthy Hair and Skin have taken it for years . I am thrilled to see Marine Collagen Peptides is going to be a TS on the 16th . It WORKS! I ordered it the very first time it was offered, because I wanted it for my skin (vanity ) . The taste was not terrible but not pleasant . BUT within a week I notice my joints were feeling great . NOW it is one of my all time favorite products . The taste has improved and actually pleasant . I start every day with two scoops in my coffee or hot (Andrews Green or Peppermint) tea . I am not much for food first thing in the morning but I always have my Marine Collagen Peptides each morning . Looking forward to your shows, Andrew. Thank you for your offering. 720 capsule jars are back. I am going for it. The added bonus of that version of Healthy Hair Skin and Nail are more interesting to me, the EGCG and Pomegranate. I realized if I am taking 2 capsules a day, everyday, my hair and nails are growing way too fast, don’t want to spend too much money on haircuts. I like the TS version because the bonuses of EGCG and the Pomegranate. Just buying those two alone will worth it. I can’t wait to see that this coming weekend. One question, have you considered making a mushroom products, either stand alone or a blend of mushrooms in combinations? I know your “Immune Factors” has mushrooms in it. But I am looking for mushrooms such as Chaga, Turkey Tails, Poria, and/or Cordyceps. Maybe you could consider making a newer version of your “Immune Factors” product by adding any of those mushrooms into the ingredients blend. I hope that will happen in the near future. I love that suggestion! I put my hubby on mushroom blends when he first was diagnosed with cancer and I make sure to keep his immunity at his peak performance! He’s been cancer free for 10 years now, so I keep him on the mushroom blends/Immune Factor/etc. as an insurance guarantee. I am looking forward to the TS and I use the hair, skin and nails product now so am very excited about the additional biotin along with the other specials! Andrew: Thank You for your Essential 1 daily multivitamin it has everything we need and more its the most perfect vitamin I can find, other brands are rip offs as we need to take 6 capsules of there’s to match what we get in 1 of yours, and I feel good in my conscience knowing you use the highest standards and integrity. I will wait patiently and stay hopeful that the Marine Collagen Peptides will somehow appear in a capsule form in the future. The taste and smell were unbearable for me, even mixed with juice because I could still smell it. Can you put the marine collagen peptides in “hot” coffee, first thing in the a.m.? I do it every morning that way. No problem. I am a long time customer and take about 20 different supplements of yours but not sure what will help my peripheral neuropathy. It is of unknown origin and I take Lyrica to help the pain. Would love to use something natural. Any ideas? I used up the ChocoNuevo 300 size (found that the kids were sneaking it)! I got great results. My cholesterol is now normal. When it was first offered, you said that you wouldn’t ship in the summer due to melting in the heat during shipping. When can we reorder it? Thanks! You refer to the politicians as “our leaders”. They are our Representatives. They are there to represent the people’s will. That, they are not doing. And that is your just as Andrew has expressed his. Well done, Andrew! And that is your opinion, just as Andrew has expressed his. Well done, Andrew! I think Andrew is wrong regarding Marine Collagen not being a today special. I recall him offering once ( since it came out) as a Today Special ( I think it was combined with something else). I’m pretty sure about this……………………………………..
Andrew, please go back to last year’s structure that that offered “bundles”, and we could get “A”, or “B”, or “A&B”. I think alot of us are running out of many different items because they were offered as bundles and this year they were not. Andrew’s vitamins are the only ones I trust to be genuine. Well worth it!! I enjoyed reading what you wrote Happy Fourth! I love your products & watch every time you are on HSN because I learn so much from you. You enspire me to want to live a healthy lifestyle. God bless You, Muriel & of course Lincoln. Love Him!! Your Independence Day thoughts were superb and eloquent. Many, many thanks for all you do. Your products are the best! I enjoy watching you whenever you are on HSN. Do not apologize for your “ramblings”, since many of us agree with you. This political campaign is not a true reflection of how most Americans feel. My fear is how the country is being represented to the rest of the world . Also, your vitamins are great. We appreciate your pure ingredients at a fair price. So Happy! I’ve been waiting and waiting for Hair, Skin, & Nails. I gave some of mine to my sister when she was going through chemo. Now we both need more. She’ll be getting a bottle for her birthday, and I get one because I NEED it to keep my eczema in check. God Bless you Andrew for creating superior supplements and vitamins! I have Systemic Lupus Erythematosus and my life is a roller coaster ride of being abled and disabled. level has improved remarkably. My husband also takes them to reduce the damage from taking statin drugs. This is one of several of your products that we take and won’t be without. This is one of several of your products that we won’ be without. Thank you, Andrew! We take quite a few of your supplements and have had good results. However if you are putting MSM in a product you should let it be known that this can cause irregular elevated liver enzyme reading when having blood work analysis done. This happened to me and I did some research, found out this information, immediately discontinued using the product and had new blood work done. The problem then had disappeared. This had concerned my Dr. so much that she had wanted me to have a liver biopsy, which I refused to do. Thank God I refused. Hi Andrew. Was so glad to see your blog up so early this visit as it really helps in planning my purchases! I’m thrilled to see the Marine Collagen Peptides as a Special and thanks for adding MSM to it! Was hoping to see a Todays Special on the Ultimate Friendly Flora as you had at this time last year. Its so important as you have stated and both my husband and I take it twice daily so the cost can add up! I can only hope you will have it priced as “almost as good as TSV pricing” like you have done with products not making the TSV cut! (HINT, HINT). Thanks for all you do and for how much you care- we really do see it, get it, and so appreciate it!! Your dedication is unsurpassed and so are your supplements!! Can’t wait for your shows. I can’t be without the leg circulation vitamins, nor Omega 3. Love them all . Thank you for your amazing products. Well u be doing a T S on probiotic? If so when…was hoping for that also. I like your July 4th “rambling” and I agree with you. I just rediscovered your products and since I noted your sincerity as you talk about them, I now buy nothing but the Andrew Lessman products. Have had no problems with them; I feel very good at 80 with very good energy level going to the gym and people are always amazed when they find out out my age. Thank you. Your new product for the skin sounds great. I was just wondering, since it mentions “marine” if it contains fish in any way. I’m allergic to fish. If you could let me know that would be great. Use lots of your product and really enjoy them. Especially love the easy digestible capsules. Taking these, I am assured that they actually dissolve in my system. Loved your political view on diversity and compromise and love your concern for the environment and helping people who are less fortunate. Andrew, I take so many of your vitamins and have for years, love every one and would never stop taken. My question is I would really like to know when is the best time to take certain vitamins. I usually take them in the morning with my breakfast swallow all and then off to work and done for the day, but I am not sure if this is the best way. I guess we all have learned a lot from you by now! I take so many of your vitamins and would not go through life without them but I was wondering if you could set some time in the shows for educating us on when is the best time to take them to get the best results. I would appreciate it! This looks really good. My dad and I make our own black pudding occasionally (t78ee&#r21h;s a recipe in the brilliant Darina Allen Forgotten Skills book you wrote about before) and next time we do I’ll defo give this recipe a run out. Sheila, I SO agree with you!! I actually counted the number of pills I take, divided it in half, and take half in the morning, and the other half before bed!! PLEASE Andrew, perhaps during a Webinar, help us ACTUALLY TAKE THESE PILLS! I have been taking your your vitamins since you first started on HSN. I am always being asked what I do for my skin. I have been using Hair Skin &Nails as well as many others . I have been using marine collagen peptides for 2 months now and I have to say that I enjoy this product so much so that I want everyone I know to try it. Not only has it help my skin become more vibrant, but the part I am extremely happy with is my joints. I use to have knee problems, before marine collagen peptide I could not squat down, but within the two months of taking this product I can now squat all the way down and my knees don’t stop me. I love Healthy Hair Skin and all of the other vitamins I’ve purchased. Due to medication reasons, I cannot consume green tea in any fashion. Fortunately, I did purchase the 700 count during your visit so I’m in a good position for a while. Your products are amazing. You’ve been blessed with a gift by providing everyone products so that they feel the best they can be. Andrew, thank you. I would be very interested to know, which of your supplements are appropriate for dogs & at what dosage amount & frequency. I just lost my Doberman, he died during his afternoon nap. I couldn’t help but think Steel might have lived longer, had he been on some of your supplements. TY. This is my First and only online post about anything. I hesitated, but lately, with so many comments about how shiny my hair is and how healthy my skin looks … I decided to give credit where credit is due. First I started using Essential 1 approximately 8/ 2008 after my bariatric surgery. I was urgently trying to find a vitamin to restore my energy level. I found yours and have since recommended it to others and they are faithful customers too. I have also been using your HHSN product since 2008. I had surgery and lost an incredible amount of hair status post surgery. I did not loose any more hair. I even have been getting the curls of my youth as well. In my mind and in my opinion, this has been my miracle and I thank you for recommending the product through your presentations of the facts. When I watch presentations about vitamins/ supplements I think to myself– Give me “Just the Facts, Man Just the facts!! !” And without fail– you do this. I also have started other people on your Essential 1, Omega Fish oil, and the Mother of all Glucosamine- chondroitin . I am able to form and spread concrete, landscape my gardens, paint and not have the aches and pains deep in my hip bones as I do without it. I want to say a great big Thank YOU, Andrew for all that you do to bring these products to us. Do you have any recommendations for what vegans typically need to supplement? Thank you. Thank you for some more great deals on your amazing products to look forward to! Always enjoy updates on the pup! Last but not least thank you for the beautiful reminder and comments on Our Beautiful Country! God bless! Looking forward to seeing you on HSN the next two weekends and reordering some of your vitamins we are running low on. Husband will be taking his last choconuvo tomorrow morning and then we are out and they have truly help bring up his good cholesterol. He needs them so badly and I just found out they can’t be shipped in hot weather. UGH! You have got to figure out how to get around that little problem with the hot weather. All his good doing is going to be undone after Sat. We had both been on them since Dec 2015. If you don’t want to turn off long time dedicated customers like myself, you may want to stay away from political speeches. Hopefully, I won’t have to listen to your political agenda during your presentations this weekend. This is not the first time you have gone off on a political tangent in your blog. I posted something nearly identical but it wasn’t approved. Since my opinion didn’t matter, I closed my account and unsubscribed. Disappointed, but I refuse to be lectured about politics by a business. I truly enjoy your excellent products and the responsible way you produce them. I, of course don’t know you but you seem like a very fine man. Please leave the political comments out of your wellness blog and your TV presentations. There is enough devisiveness and you are only stirring it up. You are free to express your opinion and I would fight for your right to do so. I strongly feel that this is not the proper venue for that expression as we come here and to your TV presentations for your valuable products and wellness information. Our government representatives have not been listening to us and it is long past time for a change. Legal immigration is a boon to our nation. Neither candidate has said otherwise. Agreed on all points. I was so turned off by it, I didn’t buy any supplements this visit. I’ve actually turned off my “blinders” and am reconsidering everything he says and does. My antennae are up and I’m on to it all. Everything. I can’t believe anyone could take issue with your opinions in this article – it was nothing but kind and positive. I’m sure any customer loss will more than be made up for by those like me who respect you and your company even more now.